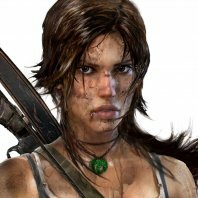 Principal level artist Matt McCulloch of Crystal Dynamics has seemingly let slip via Linkedin that Crystal Dynamics (famous for the Tomb Raider Game Franchise) are in the early stages of development of their next project. Other indicators have been referenced such as the advert on their website for a Senior Artist. The interesting feature of the story is revealed in two ways. Linkedin: If your Linkedin privacy rules are not set properly then you could be inadvertently informing competitors of an organisational status and this maybe a compromise that results in a disciplinary procedure for you. From the outside this CV betrayal looks like the beginning of a viral marketing campaign to boost a company profile but only time and sales results will tell.